The subsequent single-page spread devoted to Madame Lucile's chiffons and to Poiret's plumes seemed to be included simply out of respect for the old masters and appeared fearfully outdated. This part of the Chanel myth breaks down into two ideas: that pre-1919 looks appeared outdated compared to Chanel, and that the top designers of the 1910s were suddenly displaced. The latter myth was mainly dealt with in II (Standing Out from the Crowd) and IV (The Sole Survivors). The post-war designers were, in the main, the pre-war designers. Lucile and Poiret are nearly always (if not actually always) the go-to examples to show Chanel's superiority, but as was previously discussed, Poiret had always been strongly in favor of simplicity and plain cuts, and Lucile's exit from her house stemmed from legal issues rather than becoming obsolete. Paquin, Callot, and Jenny boomed over this period, achieving far greater success than Chanel in the late 1910s and early '20s. 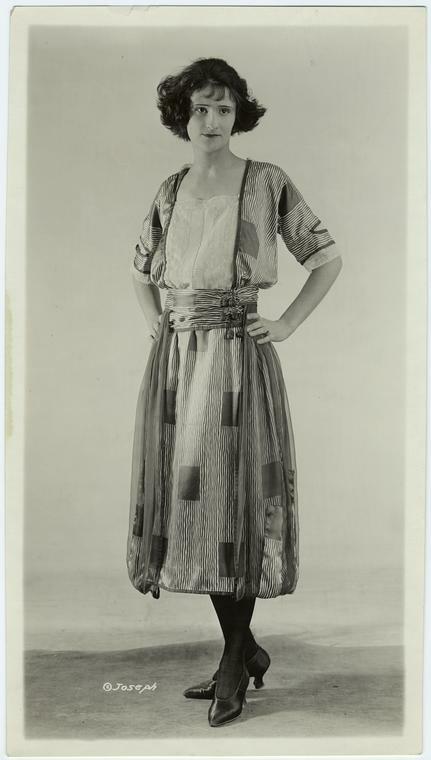 The narrative of a single young woman standing up to an antique establishment is attractive but does not fit the facts (especially as Gabrielle Chanel was 36 in 1919 and Paul Poiret was 40). 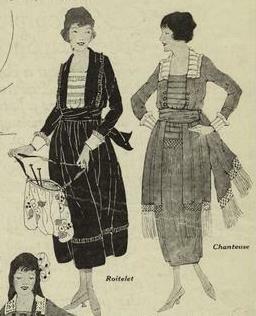 As was mentioned in part I (A Sea Change), there was a continuity in fashion from 1910 to 1920, with no abrupt breaks. Probably because most period films of the era are costumed in it, Directoire fashions are seen as the style most emblematic of the 1910s, but they were really only typical of the first half of the decade. In 1913 and 1914, flared knee-length overskirts were added to the narrow silhouette, paving the way for the entire skirt to be flared in 1915. At this time, the waist began to drop, hitting the natural level and creating an hourglass silhouette at the same time as a loose-waisted look was developed. Fashionable dresses of the war years were a clear step to those of the period after. The dropped waistline, the straight bodice, the simple closure (even the "slip-over dress") - these are all the key points of post-war fashion, and they were all in evidence before Chanel's alleged revolution. It is difficult to believe that Chanel's elegant little number would make such a contrast with the standard fashions of 1919, because fashion flowed quite naturally from the 1910s to the 1920s. And a final note. 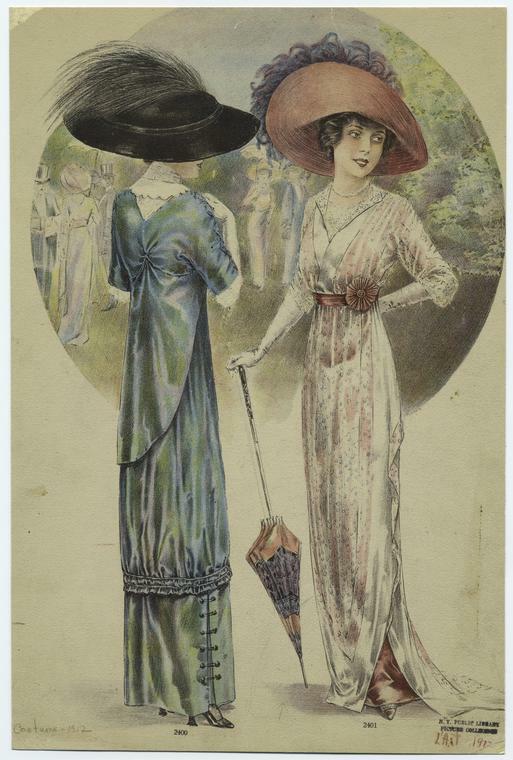 Floating chiffon layers were part of those Directoire styles that are thought of as emblematic of the 1910s, but they declined in popularity after 1914. During the war years, they turned up in a more subdued, less noticeable way - even when used by Lucile. 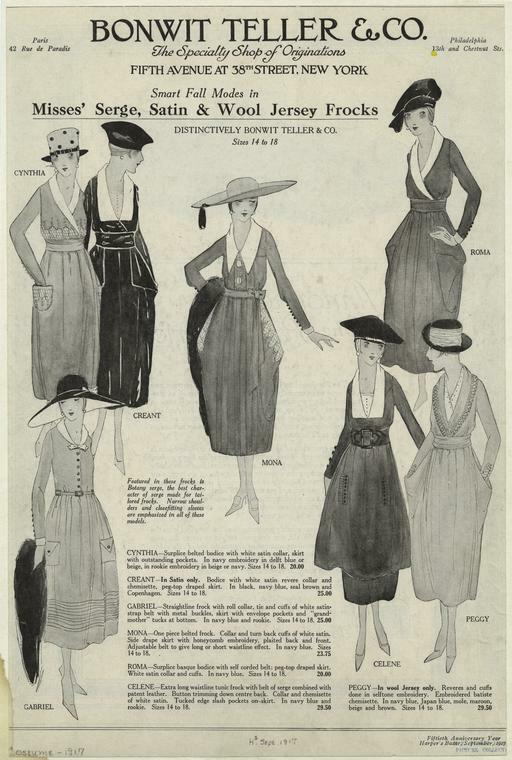 And it must also be noted that highly fashionable dresses of the early 1920s also made use of chiffon, with dozens of chiffon gowns in the issues of Harper's Bazaar of 1922. 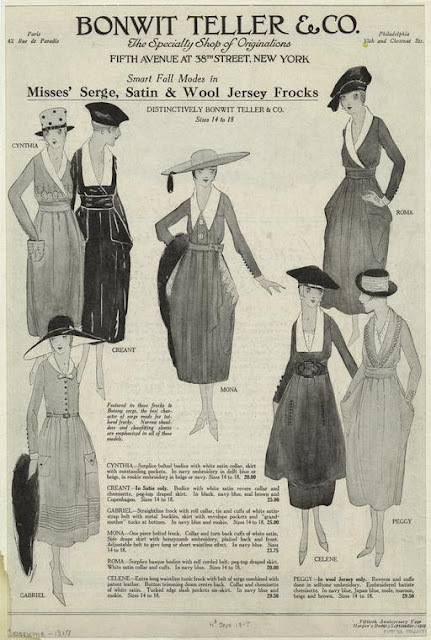 The way chiffon was used changed over time, as the overall silhouette did: "Madame Lucile's chiffons" would most likely have not appeared outdated to the readers of the issue of Vogue that Nicholson is referring to. When examining historical sources, it is important to leave preconceptions behind, and not to assume that the strong divisions between "modern" and "old-fashioned" we perceive necessarily existed for those sources' contemporaries.